Located on Corso Vittorio Emanuele II 13, in the city center, a few meters from the famous Piazza del Ferrarese, this restaurant is considered to be one of the best in Bari. It offers the authentic flavors of Puglia. 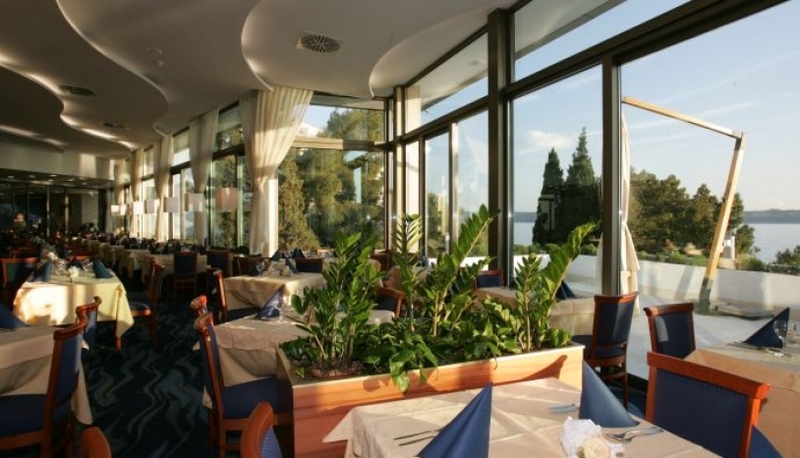 The menu includes appetizers, fresh pasta dishes as well as main courses of fish and meat. You can try homemade pasta, fresh fish, and seasonal vegetables. Especially delicious is seafood. You can order seafood platter with oysters, sea urchins, octopus, shrimps and prawns. All products are extremely fresh. Elegant white, blue and beige décor creates atmosphere of relax and tranquility. Pleasant background music is an additional bonus which makes interior still more charming. In this place a guest feels nice family Mediterranean ambience which has been organized by the owner with real love. Wine card is additional value. This restaurant has great location on the main square of the Old Town, on Piazza Mercantile, 77. 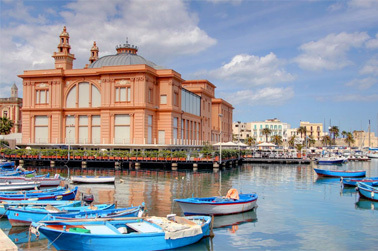 This square is an ideal place to have lunch or dinner in the heart of Bari Vecchia. The owners of the place, family pair, managed to create a small gem of welcome and culinary delights in the historical center. For the first course it is possible to have tartar of tuna, salmon, and cod, pasta with shrimps and many other appetizing meals. Rock-fish on grill, steamed sea bass or some other unforgettable dish is offered for the second course. All food is fresh and tasty. The variety is great. This restaurant is really high-class and welcoming. It’s a very good choice to have dinner after the day of sightseeing. Located on Corso Vittorio Emanuele II 140, close to the Old Town, this restaurant has a typical Italian atmosphere and offers excellent food. There is plenty of seafood to choose: clams, sea urchins, prawns, squid and others delicious products. You can try lobster spaghetti or the mixed seafood grill, tuna or sea bass. Everything is tasty and fresh. White, red or rose wine make perfect accompaniment for delicious dishes. This is a family run restaurant. Father and his son are the owners of this nice restaurant and they do their best to make the guest feel comfortable. All the restaurants listed above specialize on fish and seafood, but this one is for those who want to eat meat. Located on Via Giulio Petroni 12, this place is for meat-lovers. It offers a wide variety of different meat dishes. Fresh and delicious meat, excellent services, affordable prices make this place superb. And certainly meat is served with best sorts of wine. The owner supervises personally that all guests feel comfortable. It is not just ordinary meat restaurant. Eating in this place is a real delight. Choice of meat dishes is fantastic. This restaurant is highly recommended to be visited in Bari.